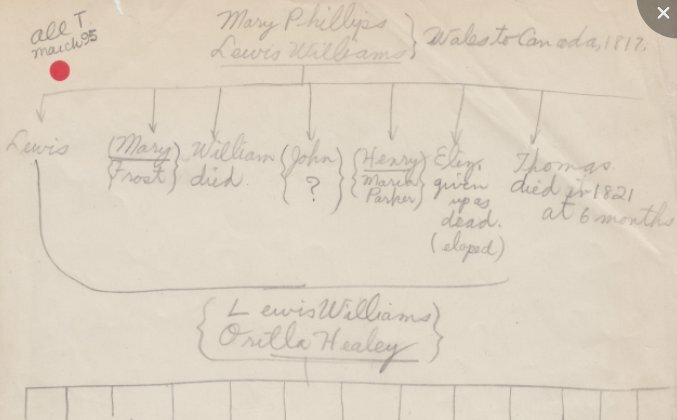 Lewis Williams and Orilla Healey were among the earliest settlers in the Ottawa area. They settled at Billings Bridge on the Rideau River. from his cousin Christine Williams, I think. She was Hugh Masson’s granddaughter. Thanks for the website information. Berry, Johnson, Masson, Bond, Kennedy, Longley, Courtice, Phillips.